Brisbane is growing both in size and in reputation, now boasting a CBD with enough cosmopolitan flair to satisfy even the biggest appetite for a city-centric lifestyle. So it comes as no surprise that Australians are turning their sights to the sunny capital of Queensland and its lavish new apartment developments, either to start a new life or to make a sound investment. Aside from the better weather, the financial benefit of buying in Brisbane is huge, certainly in comparison to Sydney. "Sydney house prices are nearly double those in the other capital cities and job creation in Queensland is on the rise," a spokesperson from Macquarie Bank commented. The new multi-residential developments luring buyers to Brisbane are well positioned, beautifully designed and boast a range of amenities that those of a rival 5-star hotel. Let’s take a look at a few of them. In the heart of Newstead, Brisbane, Chester & Ella grants access to the vibrant arts community, elite universities, and globally-renowned restaurants. With generous floorplans — 62 sqm minimum — each apartment is relaxed, refined and understated. Select homes come with a butler’s pantry and all include luxury finishes such as natural stone benchtops, matte black tapware and ample storage. Add to this a suite of resort-style amenities and Chester & Ella becomes the perfect new home for young professionals or established downsizers. Find out more about Chester & Ella. Lifestyle, architecture and community epitomise Cornerstone Living, which is enviably positioned at one of Sunnybank’s most sought-after addresses. In each apartment, open-plan living areas flood with natural light and lead seamlessly out onto large entertaining balconies where you can unwind and enjoy the tranquil setting. Together with the convenience of shopping centres, restaurants and parks on your doorstep, a vibrant and modern lifestyle is yours for the taking. Find out more about Cornerstone Living. 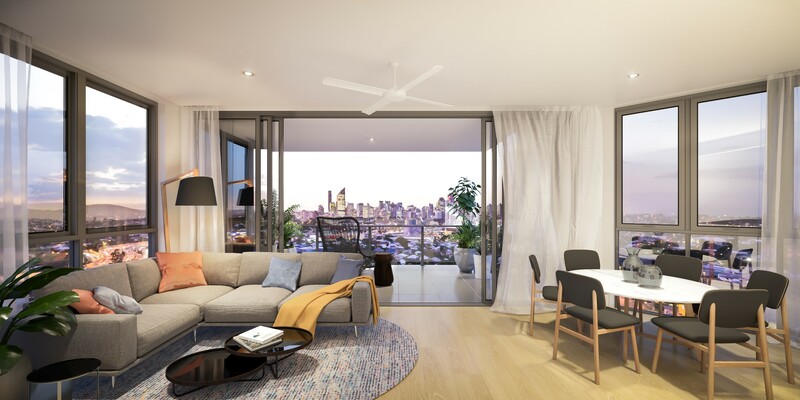 This new development is proudly positioned in Woolloongabba, just a 7 minute drive from Brisbane CBD. 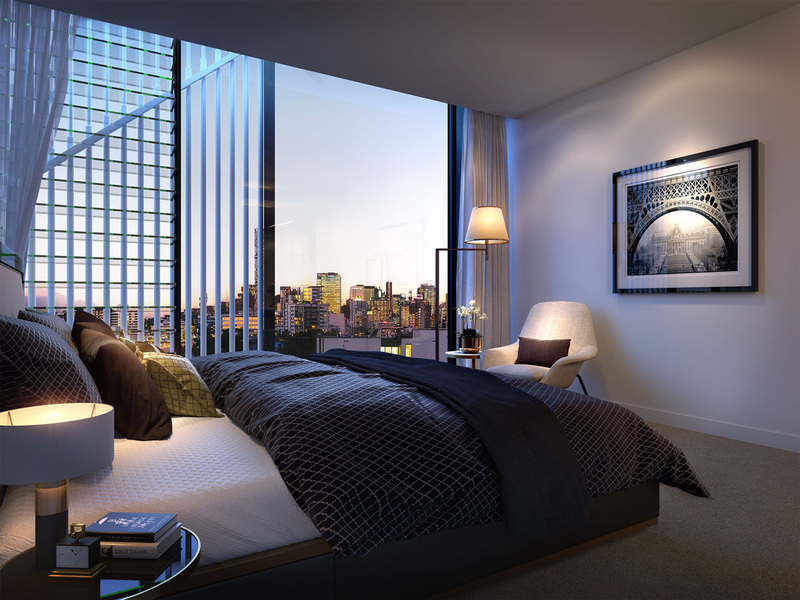 The one and two bedroom apartments enjoy sweeping city and parkland views, a breathtaking backdrop for the luxury lifestyle Park Central One offers within. Residents will have exclusive access to a private rooftop terrace overlooking the Gabba lights – the perfect place to relax in a sanctuary of solitude. Mary Lane epitomises the urban, sophisticated lifestyle. 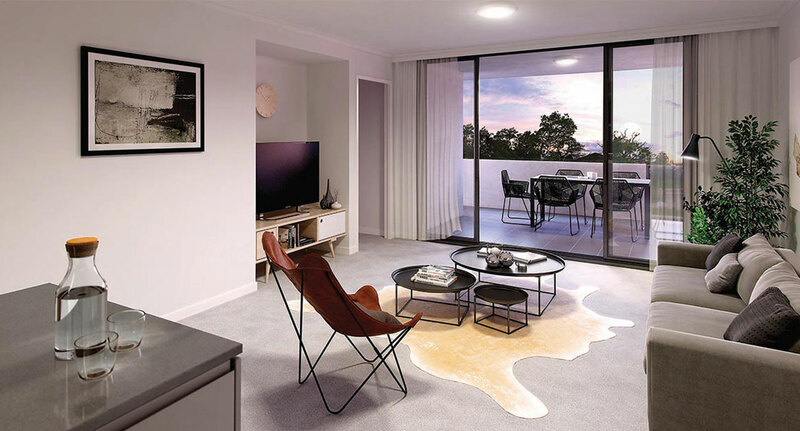 Located in the heart of Brisbane, the apartments benefit from interior design that is both elegant and modern, with a balanced blend of form and function. Residents will enjoy luxuries outside their own apartment including services from The Westin Brisbane below and the inner-city haven that is Mary Lane’s private rooftop. Aston Residences features a collection of just nine homes in quiet Bank Street in West End. Designed by renowned architect Bureau Proberts for quality and luxury, the apartments have been artfully composed with consideration for the separation between social and private spaces. Beyond the well-crafted apartments, the development also features a heated swimming pool and a private rooftop for a lifestyle that’s a cut above. 443 Queen Street is a groundbreaking design born out of an Architectus and Woha collaboration, standing tall in Brisbane CBD’s most coveted riverside location. With one, two, three and four bedroom apartments to choose from, the development is attracting a range of buyers who have no doubt fallen in love with the full floor recreation deck, complete with a riverside infinity pool, gym, dining room and cabana lounges. Interest in other areas in Queensland? Explore our best off the plan apartments in The Gold Coast here.